Xenios Hotel chain offers a relaxing family and romantic holidays on the Aegean Sea. We are a dynamically growing brand, the leader in the segment of cost-quality holidays with a total room stock 600 rooms. The All Inclusive and advanced Ultra-All Inclusive programs allow our guests do not worry about anything other than relaxing and chill. To make the holidays of the guests so happy and relaxing, so they come back to our hotel again. To be the premier in the segment of family and romantic hospitality. By paying maximum attention to every detail and continuous improvement of services, to become the most preferred choice for all who are planning their getaway in Greece. We appreciate the simple and important things in our work with partners and guests. FAMILY HOSPITALITY, FANTASTICALLY BEAUTIFUL LOCATION AND THE BEST BEACHES. Family hospitality, fantastically beautiful location and the best beaches. Cosiness quality and perfect comfort - that's what our guests enjoy in Xenios hotels. Some of our hotels feature the rooms for economical accommodation, so our clients were able to save their budget, without losing the quality of service. Swimming pools, gyms, entertainment, restaurants and bars, wellness centres, services for children, great opportunities for excursions - all this enriches your attendance and allows you to enjoy a relaxing moment in Xenios hotels. 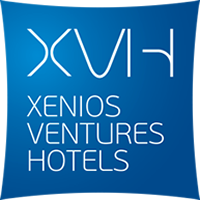 Xenios hotels feature the rooms to accommodate people with disabilities. We love our guests. We work on an individual approach, commitment to do our best, that’s how we make sure that everyone in our hotel is happy. Offering an all-inclusive program, we don’t forget that everyone wants to suite their requirements the best. Being reliable and respectful, we feel grateful when our guests choose to repeat Xenios experience again. Our people are a team, with a common spirit and goals. Everyone who works with us – is a valuable employee. We create a favourable atmosphere, conditions and opportunities for the teamwork and self development. We insist on creating a professional work environment, trust and positive atmosphere, like being an integral part of teamwork. We know if our people happy, our guests will be happy. We use a flexible approach. We adapt our hotel systems to the needs of each customer. We constantly develop and monitor our services and its quality. Pay attention to every feedback and recommendation. Getting better, integrating all the new and best for our guests. The basic principle, commitment of the company and the philosophy of each of its executives is that the company activities are fully complied with the legislation and the achievement of the quality objectives in order to guarantee the ultimate customer satisfaction. The company is committed to using positive environmental practices in order to combine the efficient delivery of services and the effective environmental protection. All the activities are managed in a way to ensure the efficient use of natural and renewable resources and the sustainable development. Compliance with all the regulations and legislation, our continued efforts to prevent contamination and the continuous improvement of environmental performance are an inseparable part of company activities on a daily basis. ✓	Constantly reviews and improves its services, wherever it is possible, as well as the efficiency of its quality and environment. ✓	Tracks, measures and evaluates the critical parameters that effect Quality and Environmental Protection. It is committed to continually improving and preventing environmental pollution by reducing the use of energy, water and chemicals. It also examines the use of the most environmentally friendly activities that are available. ✓	Sets practical and measurable goals for quality at all levels. These goals are evaluated in terms of their achievement by the company top management. Specific areas for environmental improvement are set as a priority and as company annual targets. ✓	Places particular emphasis on the rules related to the occupational health and safety and its performance. ✓	Invests in continuous training and informing of its executives in order to promote the Quality and The Environmental Protection at all levels. ✓	Implements all applicable legal requirements related to the environmental obligations of the company and has all the required permits. ✓	Reduces nuisance (odor, noise, emissions) and minimizes wastewater discharges. ✓	As its main activity, it limits the disposal of solid waste and recycles more and more of it. ✓	Has developed plans and procedures of dealing with emergencies and disasters. ✓	Has assessed the impact on environment due to new improvements and modifications it performs. ✓	Encourages its suppliers to provide environmentally friendly materials and services. ✓	Takes initiatives on recycling, environmental information and new improved techniques. By adopting the principle of continuous improvement, the company recognizes and rewards teamwork as well as individual efforts, invests in its personnel and respects its customers. The company is committed to the continuous improvement of the Integrated Quality and Environmental Protection System. The company has promoted its efforts to all its employees, suppliers, partners and customers and encouraged them to support these efforts. The company is committed to the continuous improvement of the Integrated Quality and Environmental Protection System and has informed all concerned parties about it.